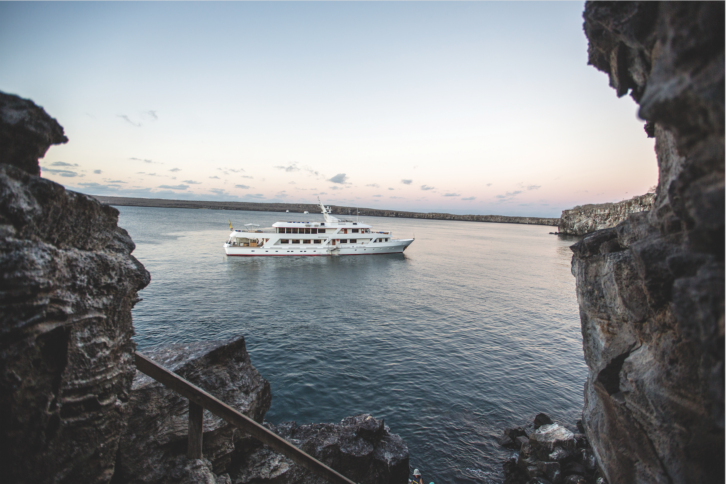 To protect the Galápagos Islands’ marine environment from overfishing and invasive-species introduction, Angermeyer Cruises and Andando Tours have partnered to create the Galápagos Conservation Fund, which benefits the charity WildAid. For every passenger booked, Angermeyer will donate $100 to the fund; once a year all the proceeds from a one-week charter will be donated (an additional sum of at least $97,800); and for all bookings made via WildAid, 22.5 percent will go directly to the organization’s programs in the Galápagos. Try a trip on Angermeyer’s 159ft luxury motor yacht — recently renamed WildAid’s Passion. The largest charter vessel in the Galápagos, it features a panoramic sky lounge, ample room for 12 passengers, and four incredibly spacious decks, including a secluded sundeck with a Jacuzzi. Activities on WildAid’s Passion’s four- to 15-day cruises include daily hikes, dolphin and whale watching, snorkeling, swimming with penguins and kayaking.